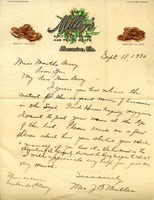 A letter from Martha Berry asking her friend, Miss Angela Morgan, for her vote in the Good Housekeeping Magazine's, 'Twelve Greatest American Women' contest, as well as thanking her for the poem she wrote about Berry. Mrs. Miller is looking for some specifics about Martha Berry so that she can include her on the list of great women of America. 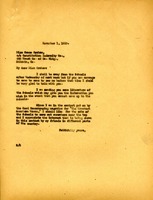 Martha Berry thanks Mr. Holt for writing to her on her birthday. She tells him that she has been put in a contest for Good Housekeeping's twelve greatest women in America and asks for his vote. She expresses her pleasure that she was able to see him and Mrs. Holt in the spring and informs him that the schools are going well. 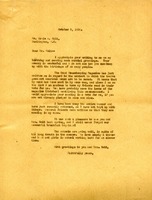 In this letter Martha Berry is asking Miss Keller to help the schools whenevr she can. She also invites Miss Keller to come visit the schools whenever she is in the area. 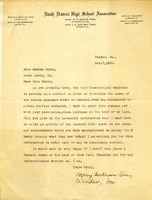 Mary Anderson from Good Housekeeping Magazine asks Martha Berry for her permission to enter her (Martha Berry) in the "Twelve Greatest Women in America" contest. 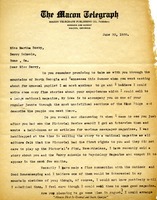 She asks for the necessary information to write a 200 word article on Martha Berry's achievements. Martha Berry thanks Mrs. Hammond for her birthday wishes and describes the student procession and putting small gifts for her in a basket. Berry alerts Hammond to the Good Housekeeping contest to select the 12 most accomplished women in America. Grace Graham lets Martha know that what she has submitted to Good Housekeeping is not truly how she feels about Berry; she had to cut it short. 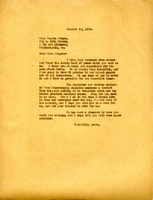 In this letter Martha Berry says that she will be away from the schools after Wednesday and that she is sending Miss Graham some literature from the schools. 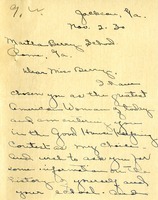 Miss Berry sends some literature about the Berry Schools and writes that she would like to come out near the top of the contest for the Greatest American Women and thanks Mrs. Carmichael for her help. 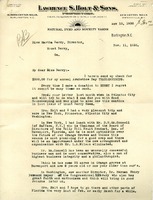 Mrs. Carmichael has chosen Berry as her nomination for the "Greatest American Woman of Today", a Good Housekeeping contest. 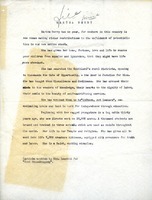 Mrs. Carmichael asks Berry to send information on herself and her school, as Carmicheal has to write a two-thousand word essay of why Berry is her choice. 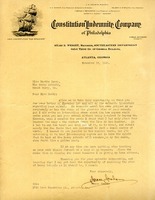 Martha Berry is sending Mrs. Baker information about the Berry Schools to present to her D.A.R. chapter. She also would like for Mrs. Baker to ask the chapter members to vote for her in the Good Housekeeping contest on the twelve greatest American women. She mentions that the South has been experiencing a drought.